Meticulously kept updated four-bedroom pool home located in the Sought after Dr Phillips area. You will be amazed at the open and spacious feeling of the huge living room with its cathedral ceiling and sliding glass doors that open out onto the screened private pool area. 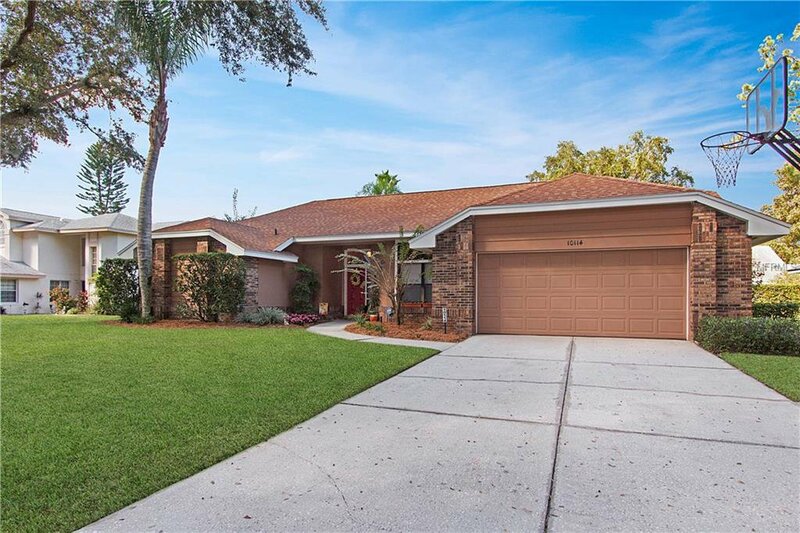 Sunsets over Sand Lake are spectacular from your huge covered lanai. BONUS this home has a brand new 2018 Roof and Updated Plumbing! The kitchen has been totally remodeled kitchen with granite counter tops and stainless-steel appliances. 18.6 SEER rated Lenox AC and Water Softener The Chef will Love the enormous granite covered counter top work space! The connecting dining room has beautiful wooden floors Both bathrooms have granite counter tops and been stylishly updated. Amazing Sunsets over the Water! Close to schools, attractions, and Restaurant Row. Club House nearby with tennis courts, dock and boat ramp access to Big Sand Lake. Walking Distance to Dr. Phillip’s Park Easy to see today!! Listing courtesy of RE/MAX SIGNATURE. Selling Office: SUZI KARR REALTY.